Are Short Disney Cruises Worth the Price? Maybe you've always wanted to sail on Disney Cruise Line but have limited vacation time and budget. 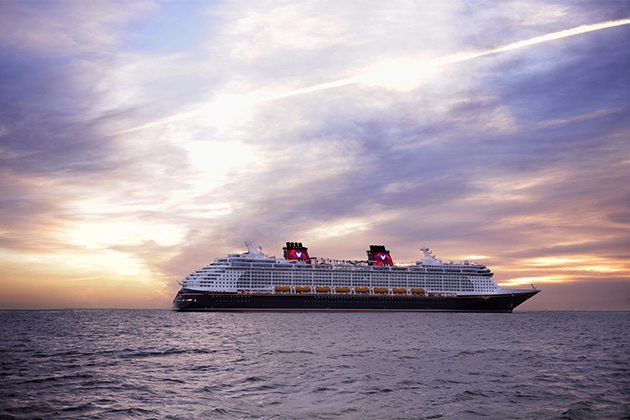 Maybe you want to combine a visit to Walt Disney World with a short Disney cruise. 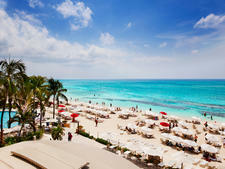 Maybe a three- to -four-night Bahamas sailing or a five-night Western Caribbean voyage fits perfectly with your schedule. Or maybe you're a total cruise newbie, and you want to test the waters with a shorter sailing. Whatever your situation, one thing is certain: Disney cruises aren't cheap -- not even the short ones. Cruise travelers really need to think hard about whether short Disney Cruises are worth the price -- or if you'll get better value from a longer sailing -- or a different cruise line. Disney offers an amazing cruise experience. Although other cruise lines have great children's programming, gourmet food, tie-ups with favorite TV and movie characters and plenty of entertainment options, there's no other line that combines all of it in quite the way Disney does, while still paying strict attention to the details and quality of service. For your money, you'll get spacious, family-friendly cabins with split baths and room-dividing curtains; first-run movies and Broadway-caliber stage shows; a Pirate Night, complete with fireworks; dedicated adults-only hubs; kids clubs that feature Star Wars, the Avengers, Toy Story and more; and character visits with Mickey, Minnie, Pluto, Goofy, Donald, Chip & Dale and the Disney princesses. You pay more, but you get more, too. It's cheaper than a weeklong cruise. If you absolutely must have a Disney cruise experience, it's a given that a short Disney cruise is less expensive than a weeklong sailing with The Mouse. 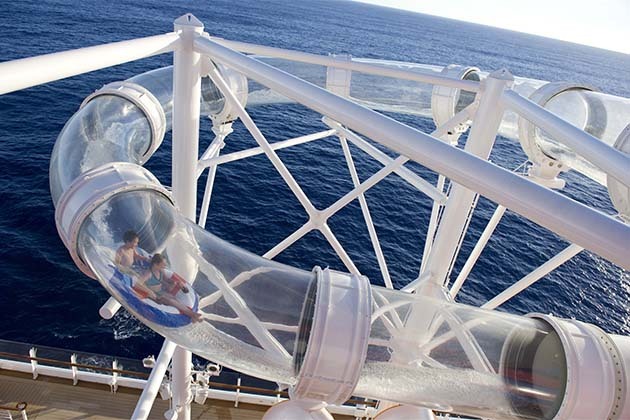 While a weeklong cruise is the best way to enjoy all the ship amenities and explore new places in port, a short cruise will still give you enough time to hobnob with princesses, dine with surfer turtles and take a few runs down a water slide or ride. 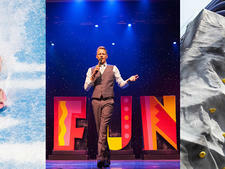 You want to combine a cruise with an amusement park stay in Orlando. If you stay at a Disney resort prior to a Disney cruise, shuttle service is offered from your hotel to Port Canaveral (which is about an hour from Orlando). Plus, if you're starting out your vacation at Disney World, a Disney cruise is the logical way to extend the magic for a few extra days. 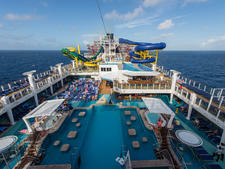 A short cruise is a great introduction to cruising. If you've never cruised before at all -- or never cruised with Disney -- you might be worried you won't like it. What if you get seasick? Won't you gain weight? What if you feel "stuck" onboard while you're sailing? And won't a Disney cruise be overrun with kids and characters? 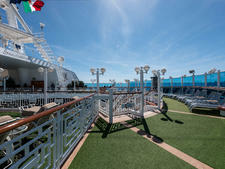 Short cruises offer less-expensive opportunities to "test out" the cruise experience. If you love it, you can always book a longer sailing next time; if you don't, you'll be back on dry land in just a few days. You're a huge Disney fan. If you're planning to spend money on a cruise and you're a huge Disney fan, this is a no-brainer. Disney is expensive, but you get what you pay for, and part of what you're paying for is the Disney-themed experience, available on no other cruise line. There's not enough time to do everything. 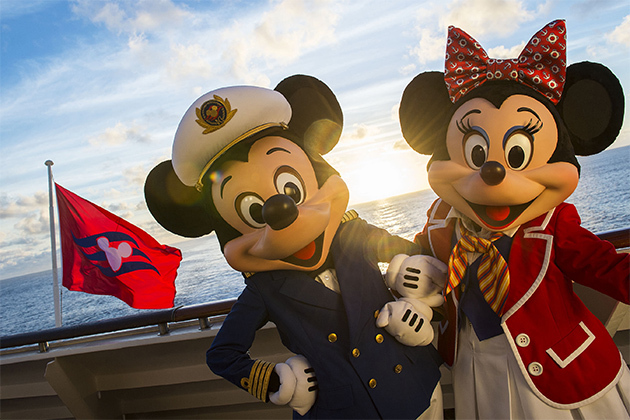 On Disney short cruises, the scheduled activities are enough for a weeklong sailing -- plus you'll forfeit some on-ship time to time spent in port. Short cruises are great for weekend getaways, but if you're someone who tries to squeeze everything in just because it's on the schedule, you'll probably drive yourself nuts. If you're traveling as a family -- or even as a group of friends -- it can be especially difficult to fit in all of the key activities when everyone has different interests. Acknowledge and accept that you'll either have to compromise or go your separate ways for part of the sailing. You might not have time to try the AquaDuck and play miniature golf, and you might have to decide whether it's more important for you to meet the princesses or play bingo. You don't want to shell out a lot of money, and feel like you missed out. 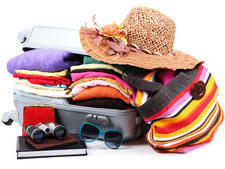 You'll spend a lot on the whole trip -- and it's only a few days. As with any voyage, you'll have to plan for the total cost of the trip, which can include flights (if necessary), hotel accommodations (if you're arriving early), cruise fares (plus taxes and fees), transportation to the port , onboard purchases (alcohol, spa visits, for-fee dining, etc. ), shore tours and other port expenses. For perspective, we combined a three-night cruise with a one night pre-cruise hotel stay, and the cost for two people was more than $4,000 total. That amount included cruise fares (for a three-berth family stateroom with a sizeable balcony), round trip airfare from Newark to Orlando, one night at a four-star hotel, shuttle transportation to Port Canaveral, one shore excursion (moderately priced), day passes to the onboard spa's aromatherapy and lounge area, one meal at adults-only extra-fee Palo and onboard Internet access. Your kids might be the wrong age. This applies to any length of sailing, but if you're paying a lot of money for what might be a bucket list trip, your kids should be old enough to appreciate it. Although children as young as 6 months are allowed to sail, you'll want little Billy and Sally to remember getting Goofy's autograph, and you'll likely have a better time onboard if you're not changing diapers and washing bottles. On the other hand, if your kids are older and "too cool" for Disney, they might turn up their noses at things like character meet 'n' greets and animated dinner shows. Disney cruise ships are lacking in a few areas. Among them are flexible dining options, where passengers can head to the dining room whenever they'd like, between certain hours. Disney only offers set dining times and a set schedule of when you can eat in each of the three main restaurants. This can be problematic for anyone who likes a bit more flexibility -- or for those who get stuck with a dining time that doesn't suit their schedules. Disney ships also lack casinos, a drawback if gambling is a favorite onboard pastime. Finally, while a lack of added-fee options can keep impulse buys in check, it also means less choice in things like restaurant options. 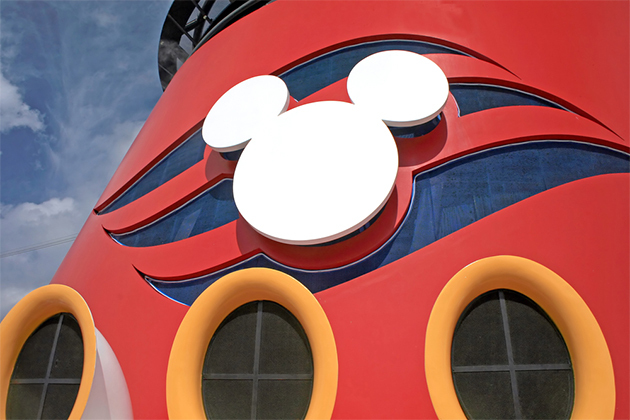 Bottom line: Is a short Disney cruise worth it? It's worth it if: A short Disney cruise is worth the cost if your kids are at the right age and you're willing to be flexible with what you're able to see and do over a short period of time. It's also worth the cost if you value top-notch food, service, entertainment and children's programming, as well as a variety of adults-only spaces -- but don't have the time or budget to do a full weeklong sailing. If you're seeking a seamless transition from a land-based Disney theme park vacation to a cruise, a Disney sailing is also well worth the cost. It's not worth it if: If you're not a huge Disney fan, you can save money and still have a fabulous family vacation on another cruise line. If you require flexible dining or won't be able to survive without a casino, a short Disney cruise won't be worth your money. If you really want to experience nearly everything on the daily schedule without feeling overwhelmed or skipping ports, we recommend saving up for a weeklong sailing.